In a pan (uruli), add ghee. 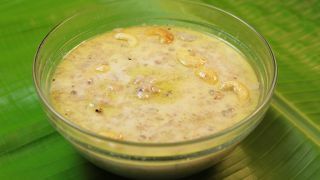 Fry cashew nuts and raisins in it. Roast rice flakes in it (after removing roasted nuts and raisins). Remove rice flakes too. In a thick bottomed pan, (uruli) add milk. Cook rice flakes in it. Mix well continuously. Add sugar. 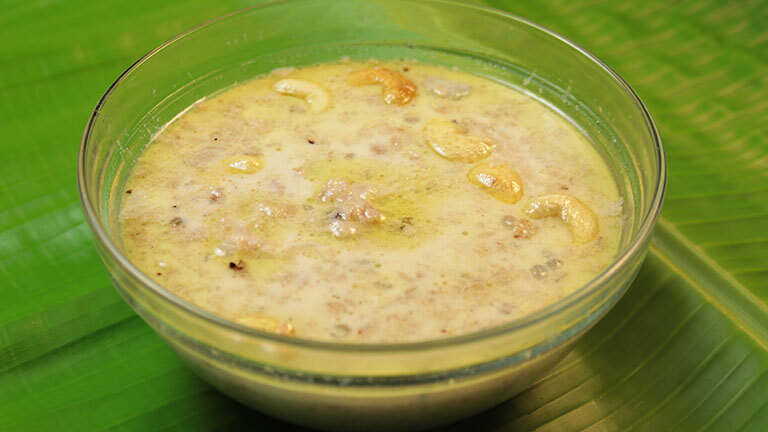 When the sugar melts and thickens, add cashew nuts and raisins to it along with cardamom powder. Mix well and remove from the flame. Now add ½ cup of milk to it. Serve hot.